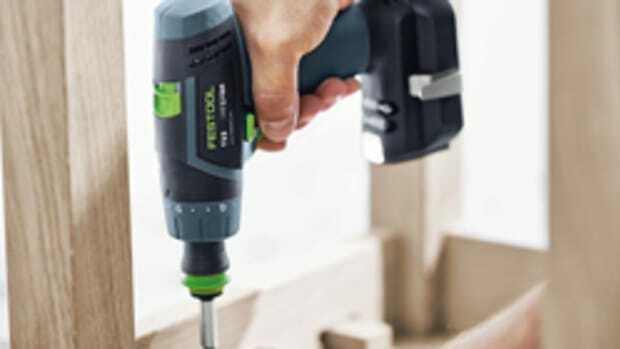 Festool introduced its new CXS 10.8-volt cordless drill in June, the lightest and smallest drill in the company’s Li-Ion platform. It also boasts a FastFix interchangeable chuck system, which makes it a versatile three-in-one tool for a variety of applications. 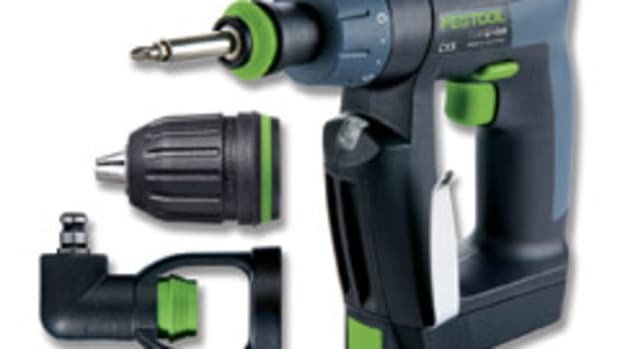 Product manager Rick Bush says the company’s woodworking customers have expressed the need for a tool even more compact than Festool’s 12-volt C Series Li-Ion drill. The CXS, with the ‘XS’ standing for the “extra small,” weighs less than two pounds. “Most of the time this drill is only going to be used to drive fasteners, so you don’t necessarily need all of the size, weight and power associated with those larger drills that weigh a lot more, that are physically larger and that will fatigue you,” says Bush. 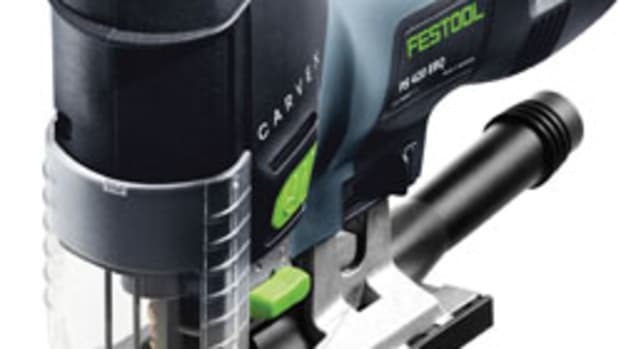 The FastFix system lets the user make tool-less swaps with Festool’s Centrotec, keyless and right-angle chucks. The Centrotec chuck is about half a pound lighter than a standard keyless chuck, says Bush. It is included with all CXS drills and comes with a magnetic bit holder that accepts 1/4” hex shank bits. “This is ideal for a quick bit-changing scenario. Instead of adding a bit holder to that keyless chuck and keeping all of its weight and length there, you remove the keyless chuck and couple our Centrotec bit holder directly to the drill, so there’s nothing to vibrate loose like a keyless chuck can do sometimes,” says Bush. The keyless chuck accepts up to 5/16” diameter bits. The right-angle chuck, which is an optional accessory, can swivel 360 degrees and offers 16 locking positions. It accepts 1/4” hex shank bits, but can be used with the Centrotec and keyless chucks. The drill can also be used without a chuck or bit holder when space is limited. The variable-speed drill has low (0-400 rpm) and high (0-1,200 rpm) settings. 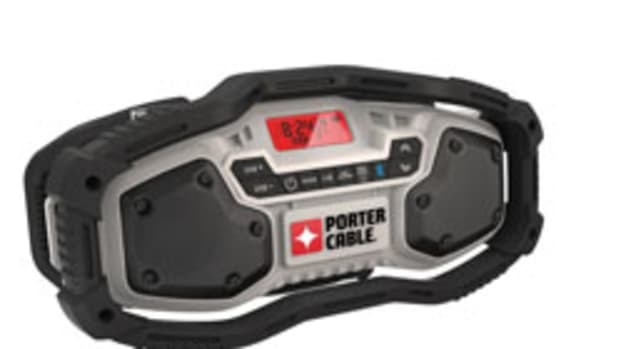 The company rates the 10.8-volt battery at 1.3 amp hours. 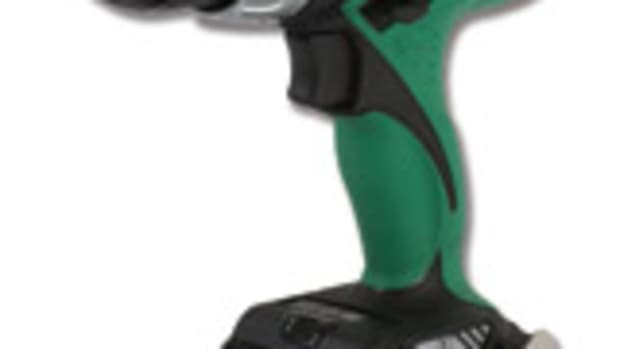 In an effort to measure the capacity of the battery, along with the efficiency of the drill’s motor and gear case, Bush says Festool tested the drill and found it was able to drive 200 screws into Douglas fir on a single charge. The battery is positioned on the front part of the handle, which also has magnetic bit storage in a recessed groove. “You don’t usually find that bit storage on the compact drills. It’s either overlooked or there’s no place for it. The CXS has two grooves that will hold up to four 1/4” shank bits, 1” in length,” says Bush. The CXS also features electronics that protect the tool and batteries from too much current, too little voltage and overheating. A dead battery can be fully recharged in about 30 minutes. 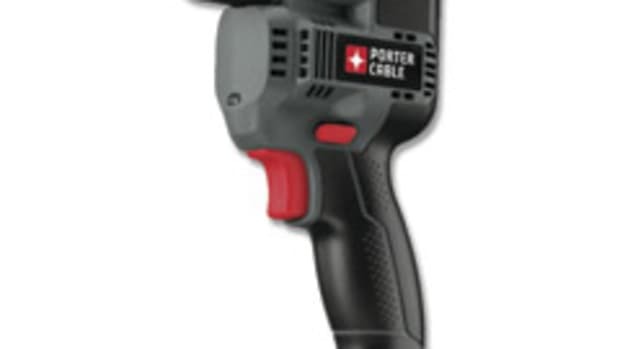 “This drill is designed to sense the condition of the battery and protect it so you don’t run it down too much, providing for overall longer life of the batteries and the drill itself. It also flashes if the drill is going to overheat,” says Bush. 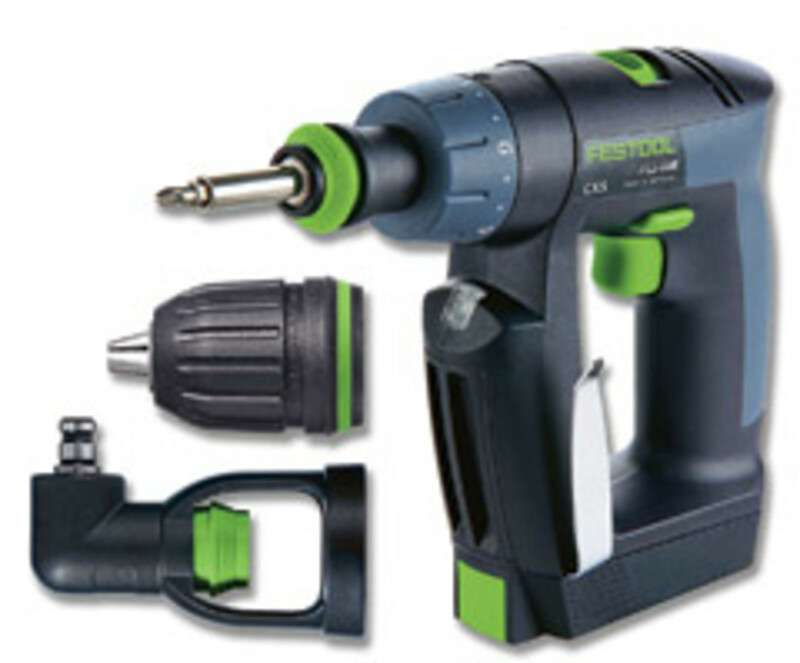 The CXS compact drill sells for $225, which includes two batteries, keyless chuck, Centrotec chuck and charger. A kit that also includes the right-angle chuck sells for $275. 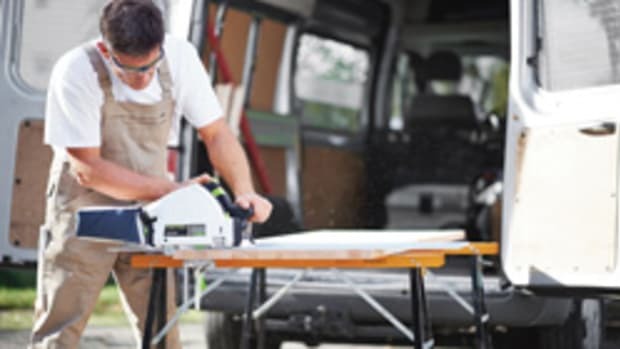 The tools are manufactured in Germany, and the drill, charger and batteries carry a three-year warranty. 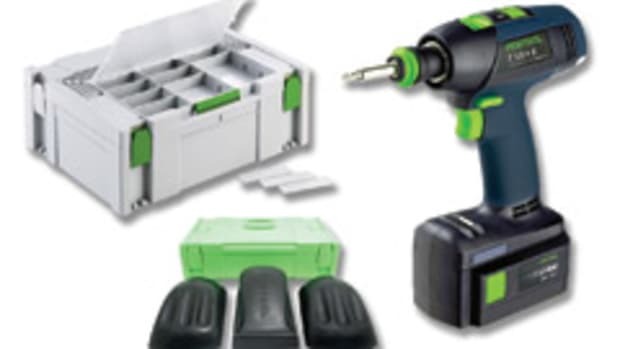 Contact: Festool USA, 400 North Enterprise Blvd., Lebanon, IN 46052. Tel: 765-482-4500. www.festoolusa.com.